The Ground (or Earth) connection is the absolute reference for all of your vital system voltages. As such, it has to be as silent and stable as possible. The ultimate way to eliminate ground-line noise is to utilise a clean, dedicated earth, but this is fraught with myriad safety and regulatory issues. The Ground Master eliminates all of the problems typically associated with the connection of additional earthing rods (or other buried metalwork) into an audio and/or audio visual system, and allows for a simple, economical, and substantial upgrade to your listening and viewing experience. Almost every modern electrical item is equipped with a high frequency switching power supply which use their Earth connection as a dumping ground for the interference they generate. With substations often serving hundreds of houses, your HiFi Earth/Ground connection could be connected to thousands of Earth Line polluting appliances. 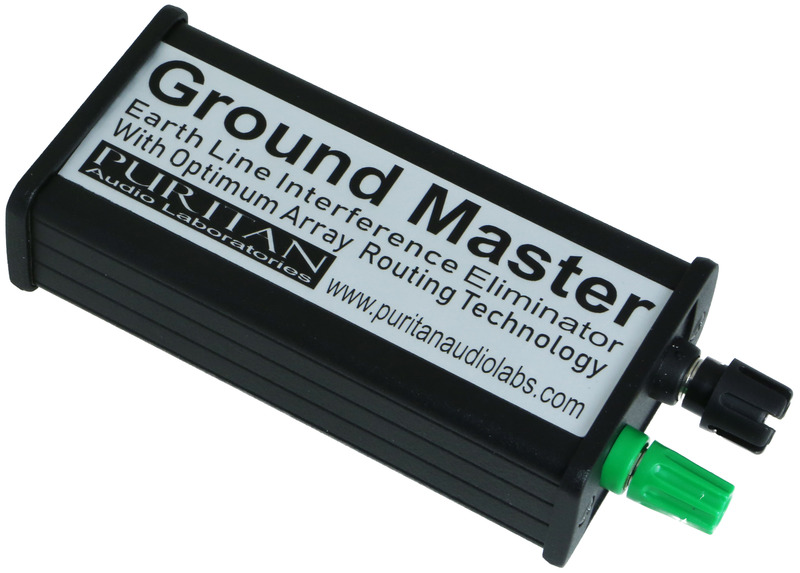 With the Puritan Ground Master (used in conjunction with an additional Ground Rod), offending noise and disturbance frequencies are identified and channelled through a low impedance route to ground, ensuring their elimination.